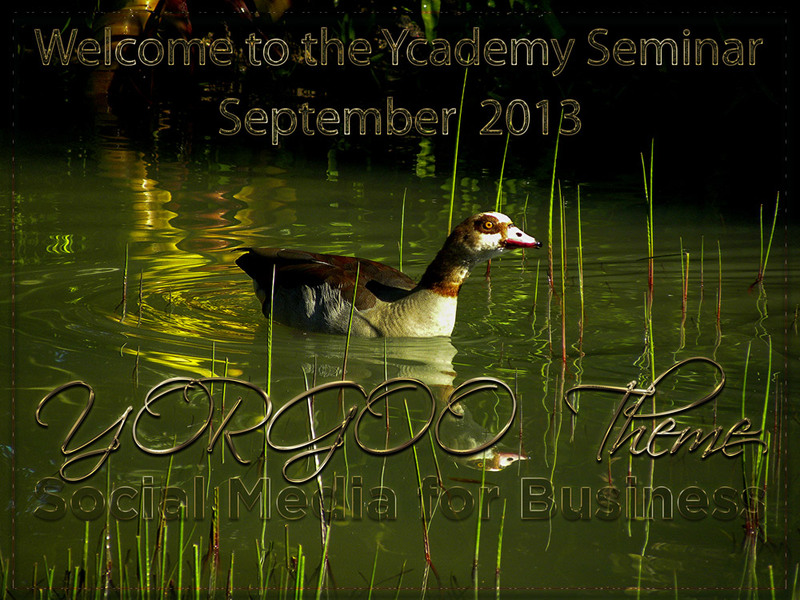 The Ycademy Seminar September 2013 for WordPress based Website Development is taking place this weekend, 28 and 29 September 2013, also – but not only – in preparation of the relaunch of YORGOO, to which we at Web Design South Africa are very much looking forward to! What can be expected at the Ycademy Seminar September 2013? In continuation of the first steps taken at the Seminar in August HERE , we will continue the journey by actually installing the brand-new YORGOO theme for WordPress sites – YGOO – and customize it according to our own criteria and taste. What will be exciting as well – and proved impossible on a multiusersite-style setup – is the integration of a WooCommerce shop, which is known and proven as arguable the most popular and scalable shopping cart available for WordPress. All participants will have to rethink the purpose of their online presence and activities, in order to design their website in a smart and easily navigable way, bearing also in mind how their business activities are or should be profiled in social networks. In this respect it is important to prepare concise profiles, which will be part of the workshop. While the mobile market has exploded over the last years and continues to do so, the Social Media landscape has evolved in amazing ways and cannot be ignored. New features and functions are continuously being made available, that have to be carefully evaluated. From there, new workflows need to be designed to keep one’s focus and direction and use social media in the most efficient yet also the safest way. In that respect, again, the personal or business profile needs to be well planned. From there the emphasis is on smart linking and communication. The Ycademy Seminar August 2013 was a one-day seminar packed with information and hands-on workshops in view of the renaissance of the new YORGOO and specially, testing the new YORGOO flagship theme: YGOO. 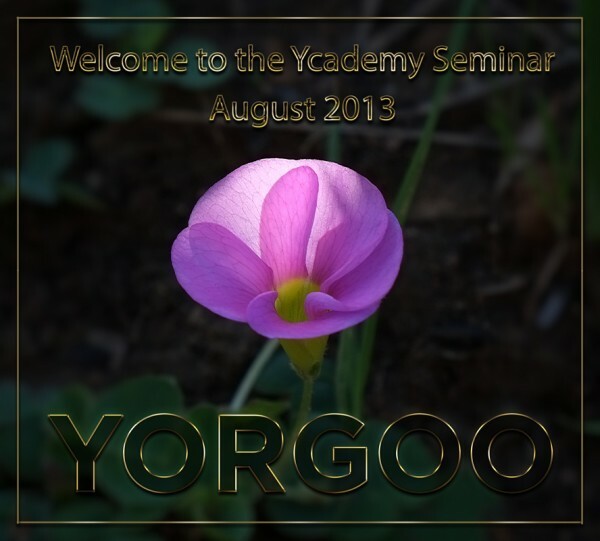 Following the July Seminar – which focused on ADOBE CC, the Ycademy Seminar August 2013 had its focus on YGOO. At the same time, it gave an update of the latest WordPress developments – especially also with regard to the massive and so soul-destroying hacks that have been taking place almost everywhere, costing good normal peoples’ time, energy, nerves and money. Logo, Favicon, Colours, Layout, Header, Footer, Shortcodes, Featured Images and more. The new editor included more features than the XR editor, i.e. presets for WordPress related features. The ideal custom taxonomy for designers and developers. It can also be used for any business, such as hotels or photographers. Woo Commerce integration with all bells and whistles was planned for a later stage during the development, but is included. All participants learned how to build smashing (Home) pages right from their dashboard, without resorting to complicated code.specially the built-in sliders were an amazing tool. Back-up theme settings and sliders and how to export them. Restore backups. All in all and as usual a full schedule, start to end – and results that let us look forward to the renaissance of YORGOO! Expect to be astonished!